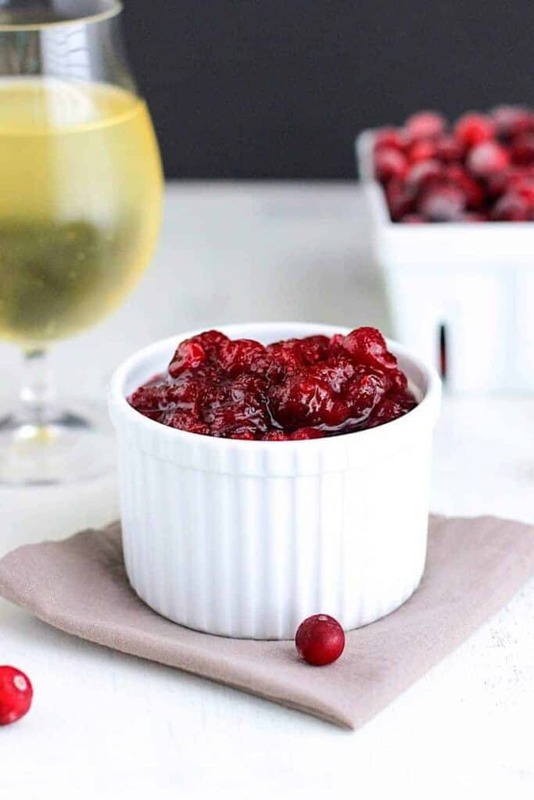 This Hard Cider Cranberry Sauce is sweet, tart, and full of cider flavor. It’s the perfect accompaniment to all of your holiday dishes. True story: My husband loves canned cranberry sauce. He gets his own personal can at every Thanksgiving. I mean, to each his own. But I prefer a cranberry sauce that’s a little less cylindrical in its natural state. 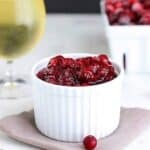 The Beeroness has some really great cranberry sauce recipes that uses beer as one of the ingredients. 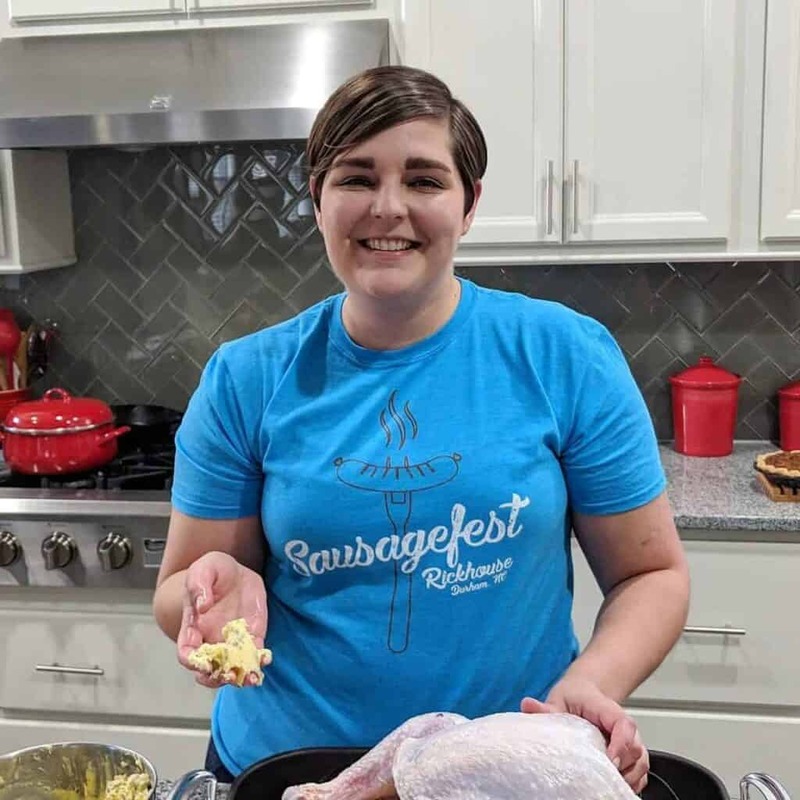 I took my inspiration for this cranberry sauce from her, but I swapped the beer for hard cider and reduced the amount of sugar a bit. In terms of cider, I went with Sweet Carolina from Bull City Ciderworks. It’s not too sweet, and is infused with local honey. Use any hard cider you like, though. You could easily do this with a citrusy beer of your choosing, too. Once things have come up to a simmer, cook for 15 minutes or so. The longer you allow it to cook, the thicker it will become. 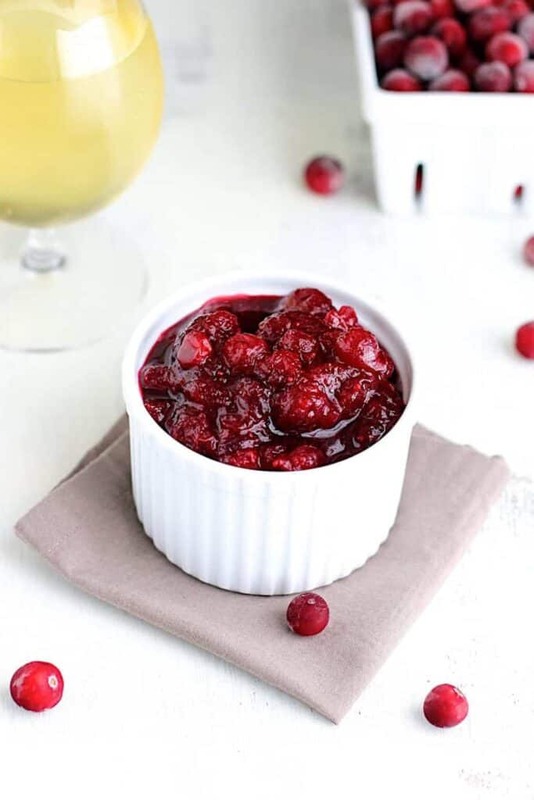 Remove the cranberry sauce to a bowl and let it cool. It will continue to thicken as it cools.